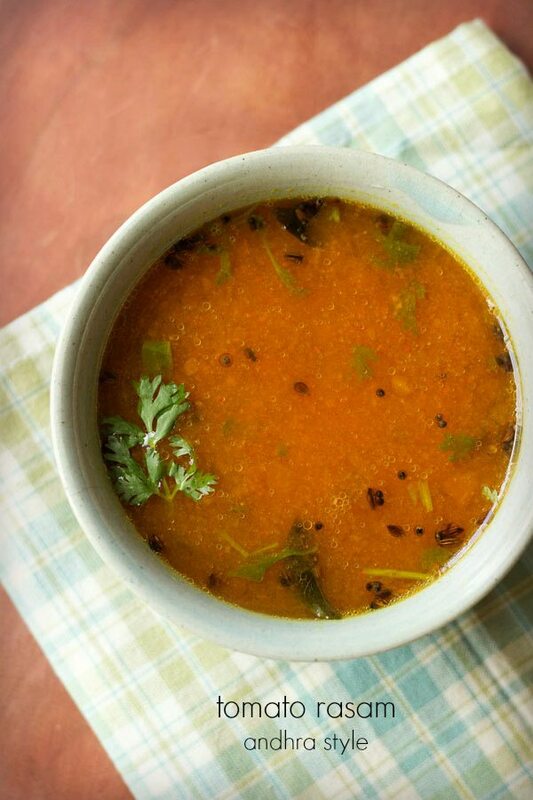 tomato charu is an easy recipe of tomato rasam made andhra style. tomato charu recipe with step by step photos – easy and quick recipe of tomato rasam made andhra style. 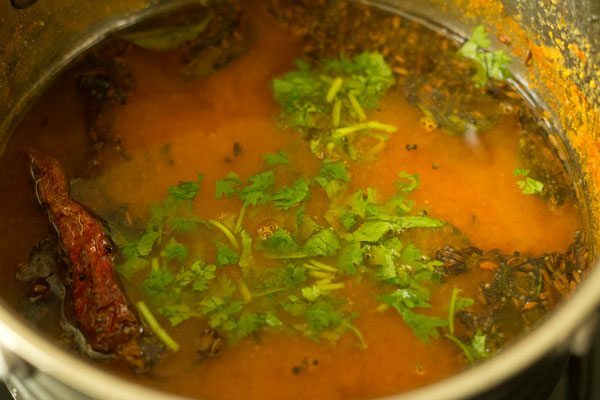 rasam is also known as charu in andhra pradesh and saaru in karnataka. 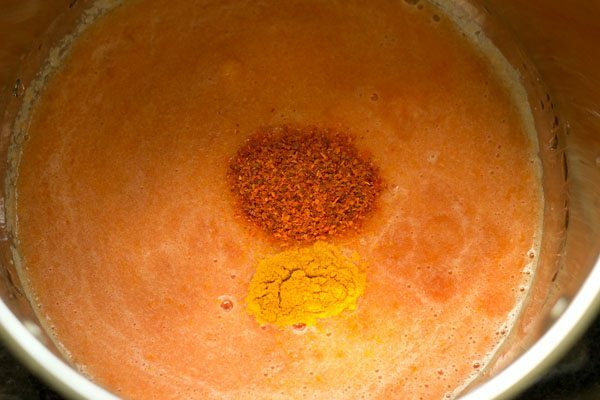 thus there are different ways of preparing tomato rasam recipes. whenever i make tomato charu, i usually puree the tomatoes. 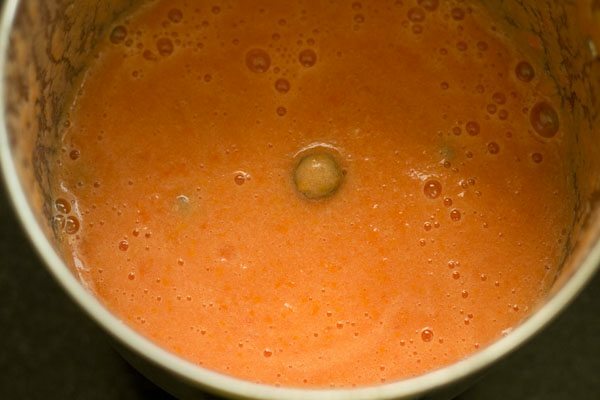 of course, you can crush or chop the tomatoes too, but i like them pureed in a tomato rasam. 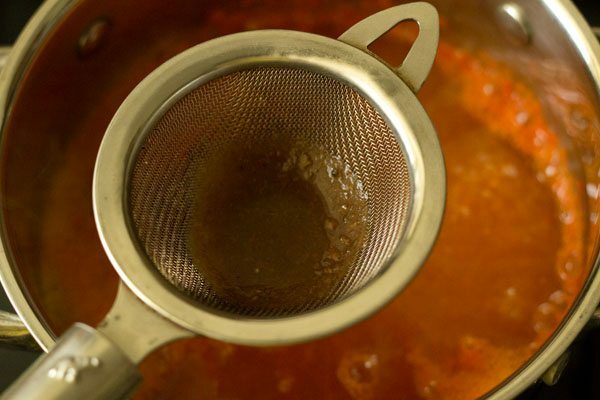 the tomato puree can also be strained if you want. you can blanch or skip blanching tomatoes, before pureeing them. this was a quick lunch, so i did not blanch the tomatoes. a bit of tamarind also goes in this rasam. though skipping it also is fine, if you do not have it. tamarind just make it a bit more tart, than what it would be with the tomatoes. 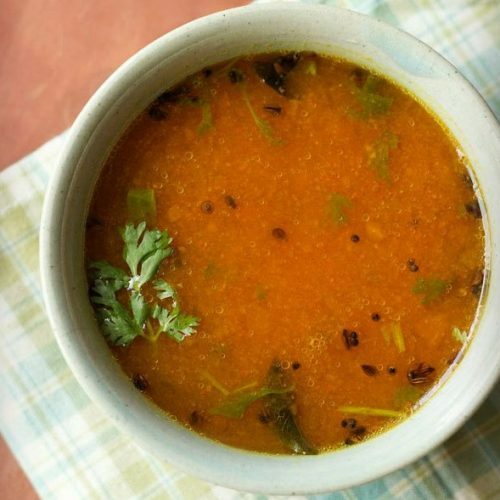 serve this andhra style tomato charu with rice or you can even have it as a soup. 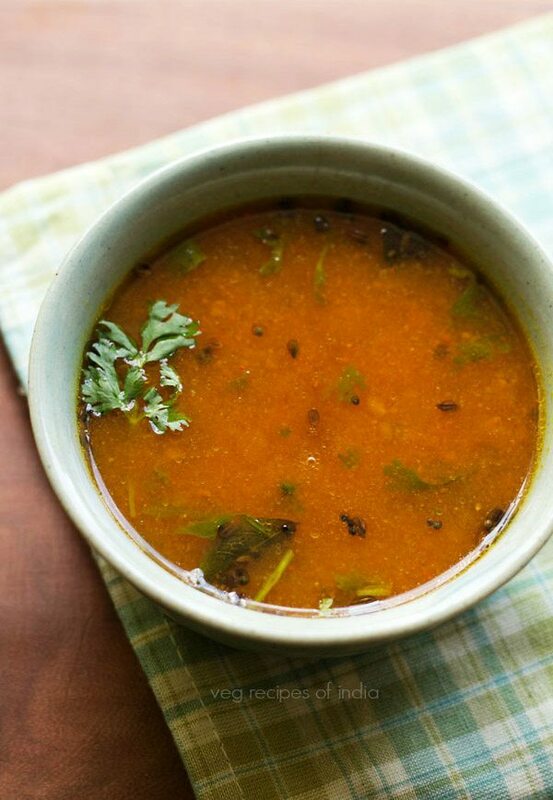 rasam recipe without rasam powder. soak 1 teaspoon tamarind in 1/4 cup hot water for 15 to 20 minutes. then squeeze the tamarind and extract the pulp. when the tamarind is soaking, chop 250 grams tomato (4 to 5 medium tomatoes). add them along with their juices in a blender jar. take the tomato puree in a pan or pot. now add 1/4 tsp turmeric powder and 1/2 tsp red chilli powder. then add 2 cups water and mix very well. keep the pan on the stove top. cover with a lid. then on a low to medium flame let the tomato mixture cook for 3 to 4 minutes. 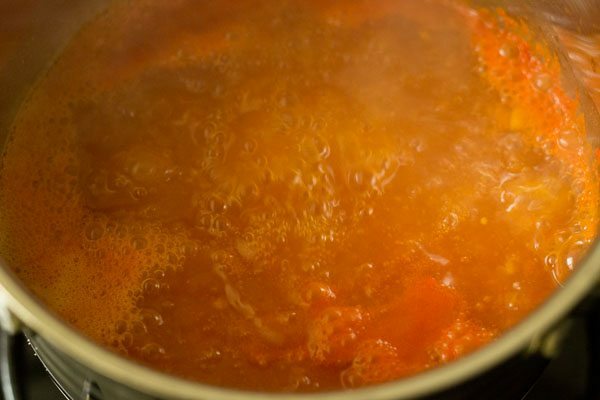 then remove the lid and continue to simmer for 1 to 2 minutes or till the rawness of the tomatoes goes away. next strain the tamarind pulp and directly add it to the rasam. next add salt as per taste. 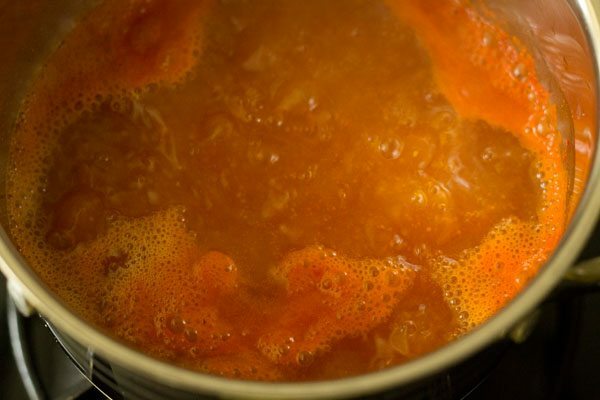 simmer for 4 to 5 minutes. 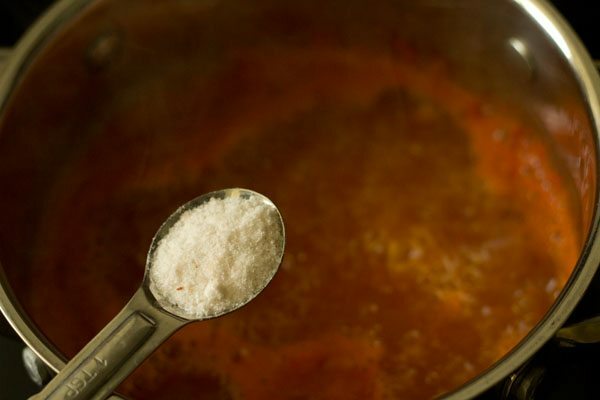 then add 2 teaspoon rasam powder. cook for a further 3 to 4 minutes. 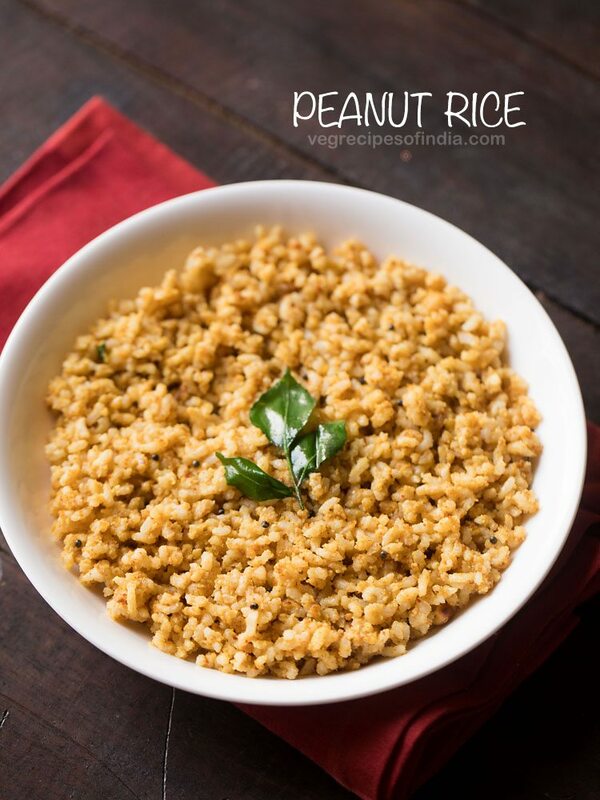 if you do not have rasam powder, then skip it. when the rasam is done, cover and keep aside. 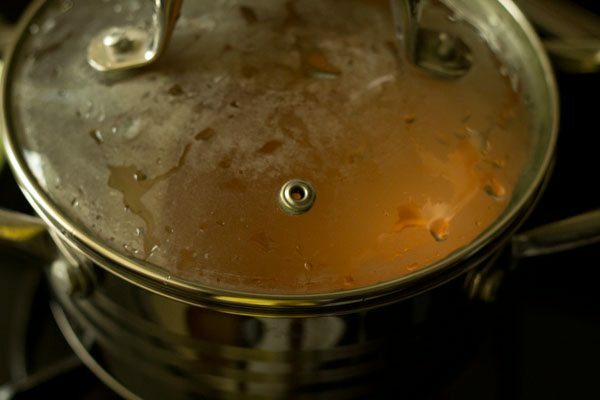 heat 1 tablespoon oil in a small pan or tadka pan. 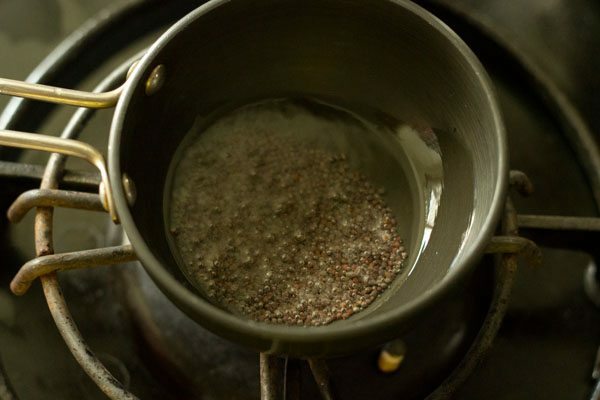 lower the flame & add 1/2 teaspoon mustard seeds and allow them to crackle. then add 1/2 teaspoon cumin seeds and let them splutter. next add 2 dry red chilies and 10 to 12 curry leaves along with a pinch of asafoetida. 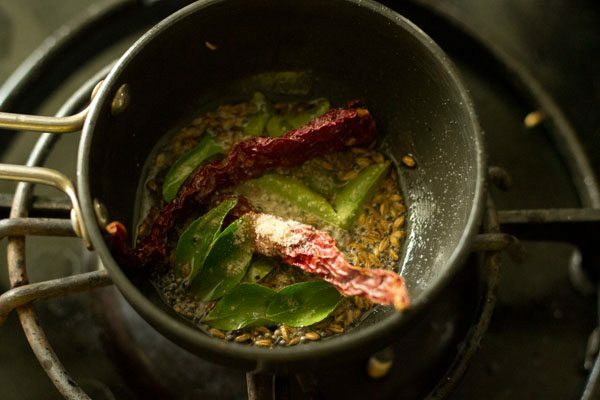 saute till the red chilies change color and curry leaves become crisp and add the tempering to tomato charu. cover the pan for 5 minutes. this is so that the tempering flavors infuse in the tomato charu. then add 1 to 2 tablespoon chopped coriander leaves. 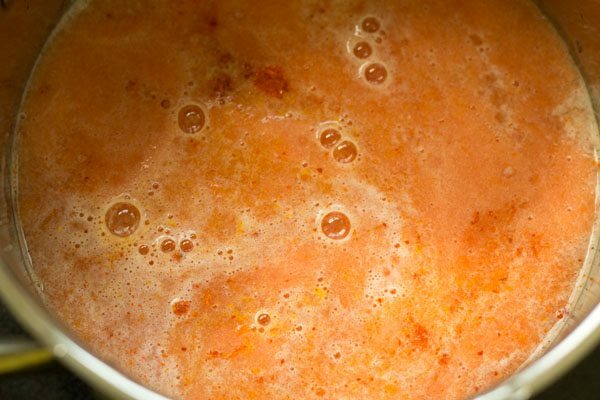 serve tomato charu hot with rice or as a soup. spices like red chili powder can be added more or less as per your requirements. 1. soak 1 teaspoon tamarind in ¼ cup hot water for 15 to 20 minutes. 2. then squeeze the tamarind and extract the pulp. 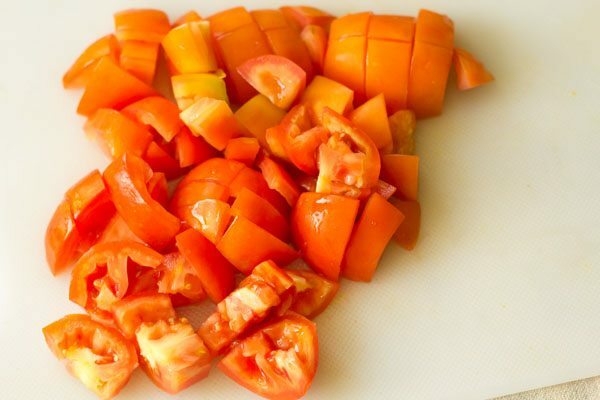 3. when the tamarind is soaking, chop 250 grams tomato (4 to 5 medium tomatoes). 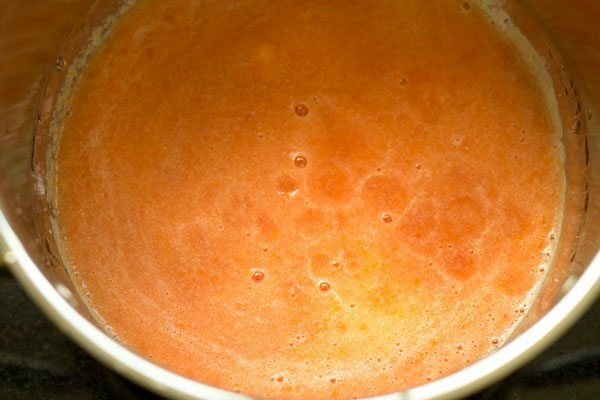 4. add them along with their juices from the chopping board to a blender jar. 6. take the tomato puree in a pan or pot. 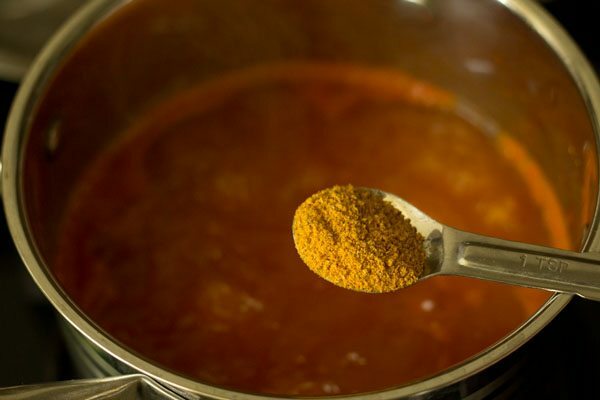 7. now add ¼ teaspoon turmeric powder and ½ teaspoon red chilli powder. 8. then add 2 cups water and mix very well. 9. keep the pan on the stove top. cover with a lid. then on a low to medium flame simmer the tomato mixture for 3 to 4 minutes. 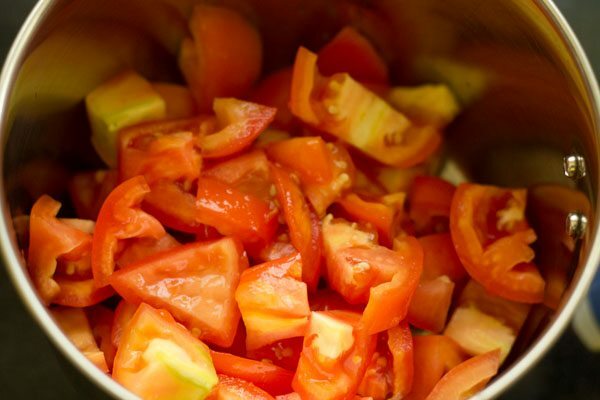 10. then remove the lid and continue to simmer for 1 to 2 minutes or till the rawness of the tomatoes goes away. 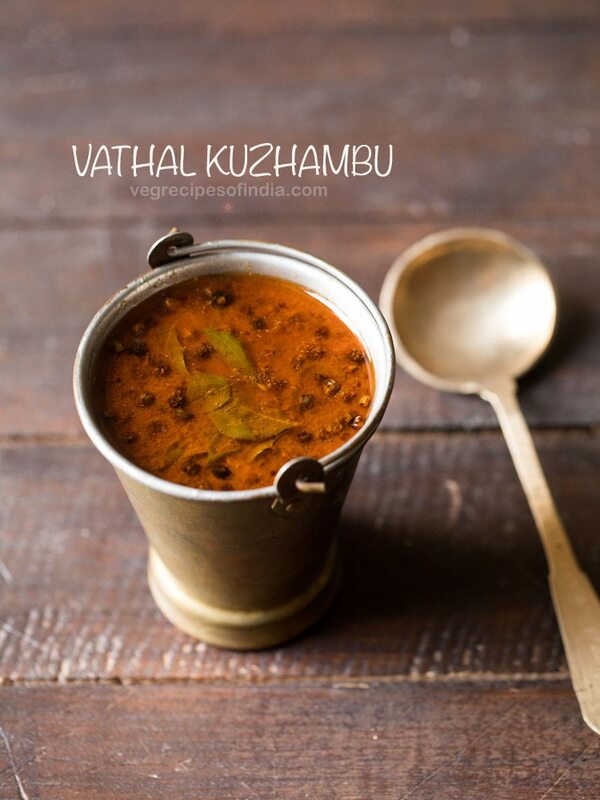 11. next strain the tamarind pulp and directly add it to the rasam. 13. next add salt as per taste. then simmer for 4 to 5 minutes. 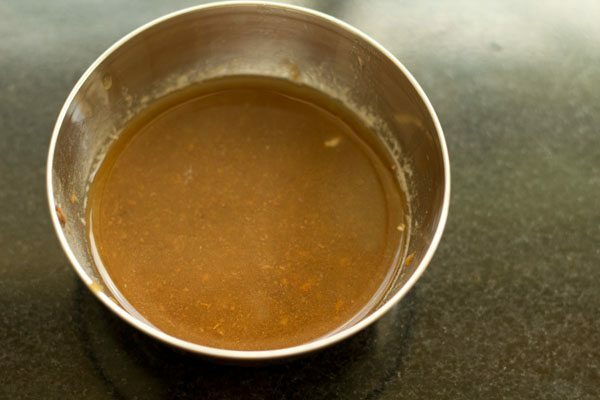 14. then add 2 teaspoons rasam powder. cook for a further 3 to 4 minutes. 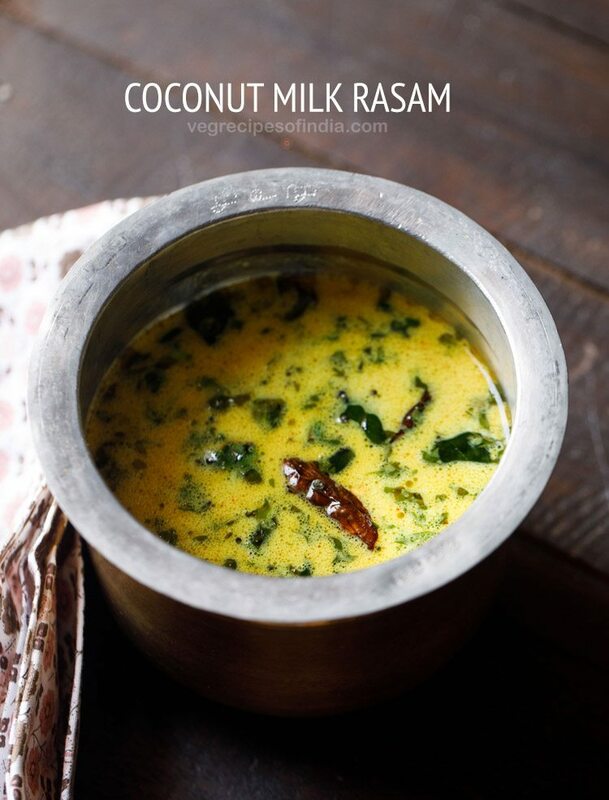 if you do not have rasam powder, then skip it. a bit of jaggery can also be added to balance the sourness of tomatoes. 15. when the rasam is done, cover and keep aside. 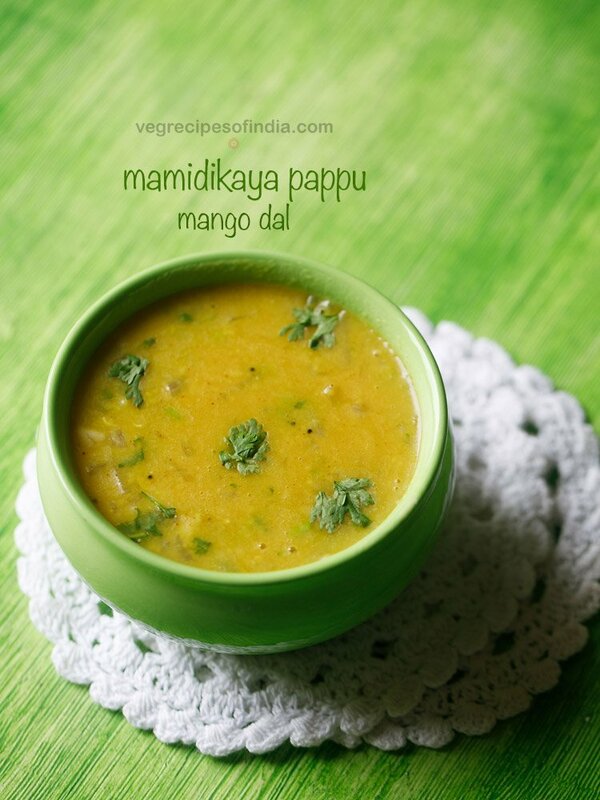 16. heat 1 tablespoon oil in a small pan or tadka pan. add ½ teaspoon mustard seeds and allow them to crackle. 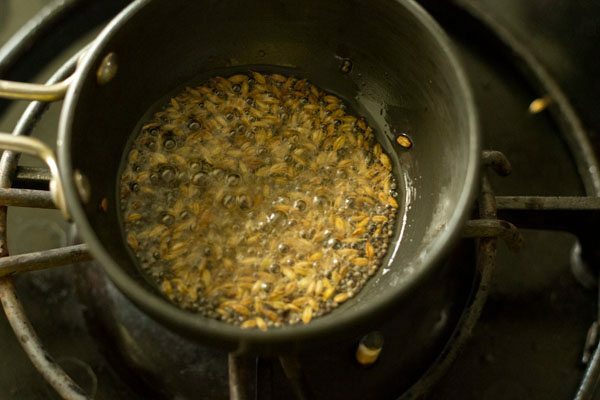 17. then add ½ teaspoon cumin seeds and let them splutter. 18. next add 2 dry red chilies and 10 to 12 curry leaves along with a generous pinch of asafoetida. 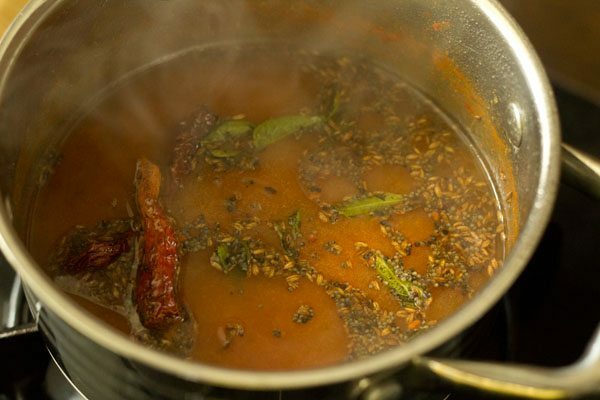 19. saute till the red chilies change color and curry leaves become crisp and add the tempering to rasam. cover the pan for 4 to 5 minutes. this is so that the tempering flavors infuse the tomato charu. 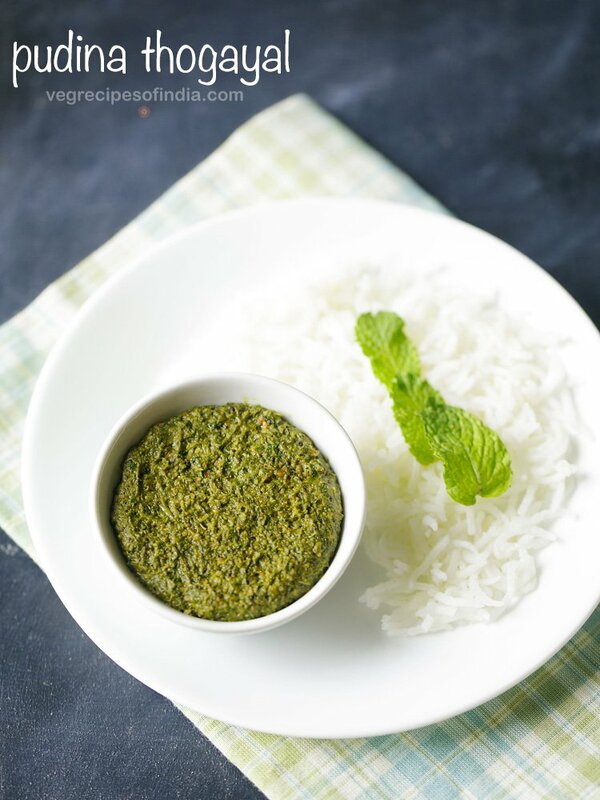 20. then remove the lid and add 1 to 2 tablespoon chopped coriander leaves. 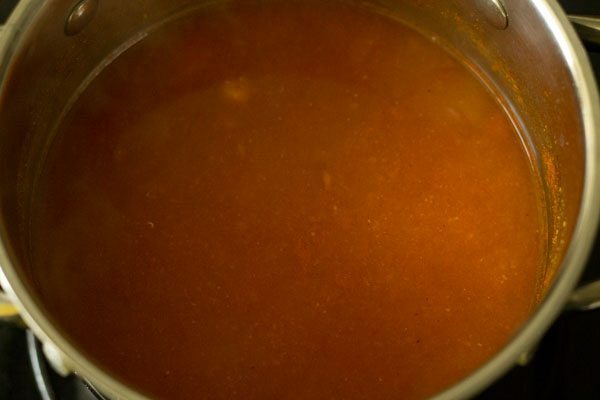 22. serve tomato charu hot with rice or as a soup. thanks venkatesh for letting me know. will check this issue. thank you venkatesh for this lovely feedback. hi here no need of garlic???? if you want you can add garlic. Hi dassana. 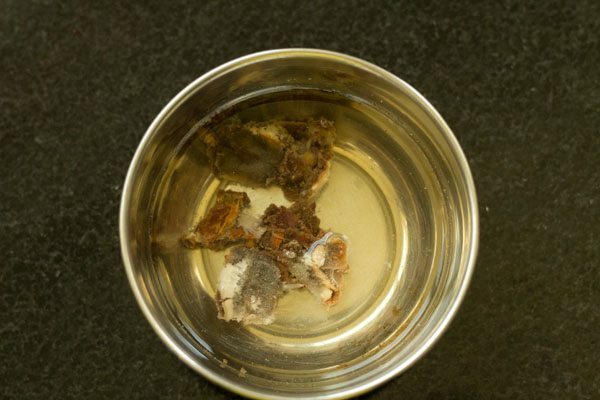 Do you use compounded asafoetida or pure? I look for pure everywhere but can only find compounded. Also what brand do you use? Thx love your site. i use pure asafoetida. there is one uncle who gets pure powdered asafeotida for us from his hometown in madurai, india. he has an asafoetida manufacturing unit there. but before i have used vandevi hing. its a compounded one. Hi..yesterday i tried this version of rasam..n hubby loved it..thank u.. This is hands down one of the best rasams I’ve ever had. Had never made rasam before; only had it in restaurants. But this was superb. Now I’d be able to finish up the rasam powder i bought from Kerala. welcome aarti. 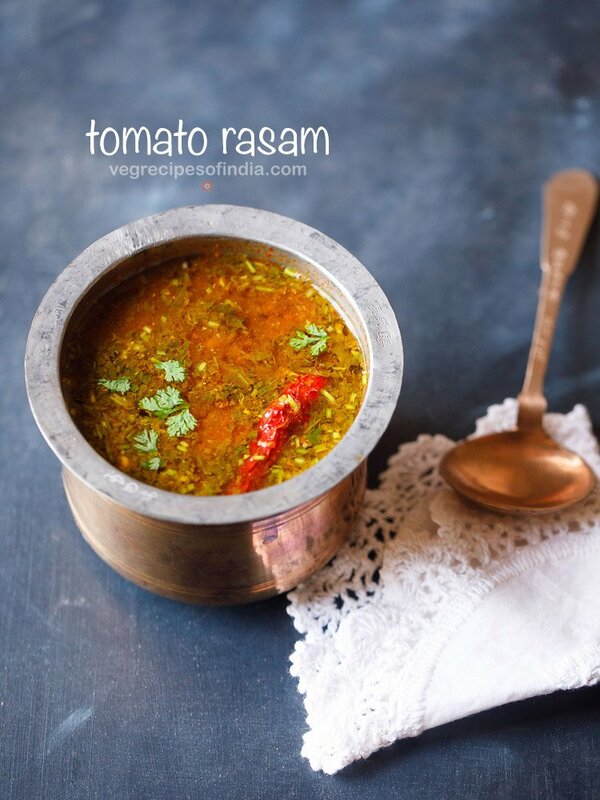 glad to know that you liked the tomato rasam recipe.